There are just a couple of days left to see The Young Regenerators exhibition “We Will Speak. You Will Listen” featuring work by young people from GSA’s Widening Participation programme. 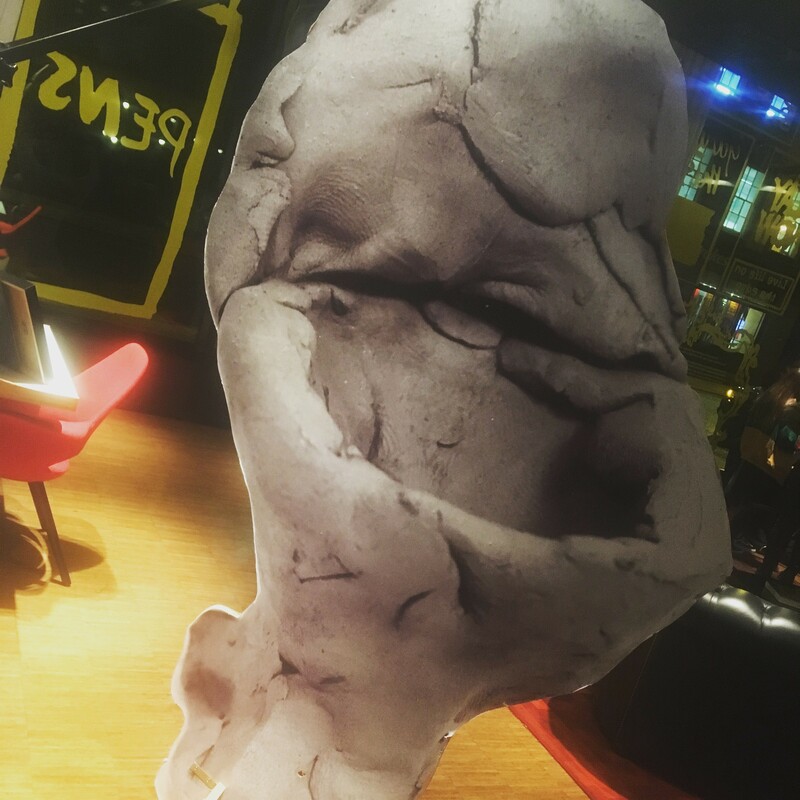 The exhibition will finish on the 21st of October so head over to CitizenM Glasgow if you’ve got some free time to see it this weekend! The original project The Regenerators was a new work for Glasgow International 2018, commissioned by Glasgow International Year of Young People 2018. It was a site specific project by artist Mick Peter which was supported at Dalmarnock Gas Purifier Shed by Clyde Gateway. It also featured work by a group of young people from across the West of Scotland who are part of GSA’s Widening Participation Team. GSA’s Widening Participation department offers opportunities for eligible secondary school pupils to “build their cultural capital” and widen their knowledge of the world of contemporary art, design and architecture while also becoming involved in activities that will help them to make informed decisions about their future. The school pupils involved in this project were led by a core group of current GSA students, including; Luke Andrew, Caitlin Callaghan, Tegan Duffy, Shannon Flockhart, Kirsten McNairn, Fraser Whiting and Thomas Whiting. In addition, they were supported in the making of their part of the work by artists Sally Hackett, Gudrun Soley Sigurdardottir, Catriona Reid and Mick Peter. The Young Regenerators exhibition was an opportunity for the secondary school pupils to exhibit their work for this project on their own with the idea that they can already be established artists in their own right. With this in mind, the group also created their own artists manifesto which they were handing out at the exhibition. GSA Archives and Collections were lucky enough to be invited to the exhibition opening night on the 11th of October for the first peek. 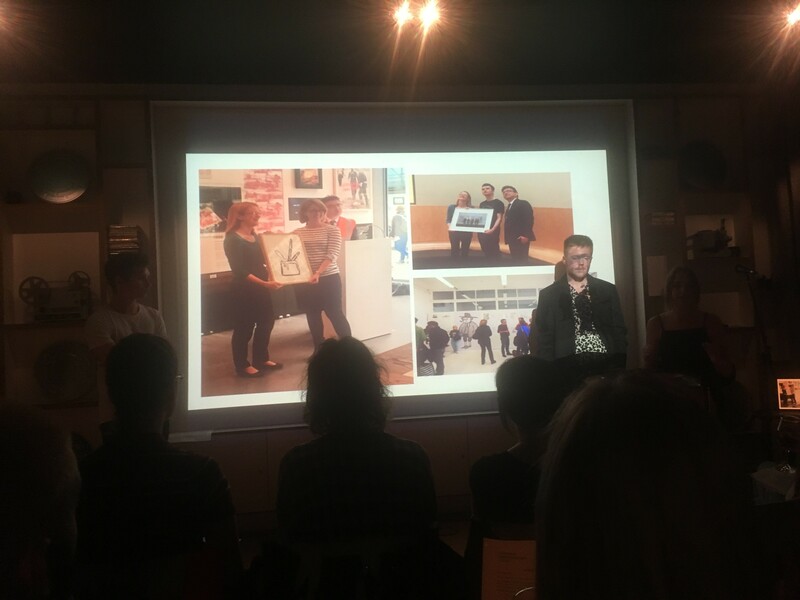 Part of the evening included an artist’s talk and group discussion lead by the GSA students involved in the project where we were delighted that they announced that some of the work that was produced for this project has now been accessioned into our collection. You can request to see this material by emailing archives@gsa.ac.uk.